Many clients ask this question and the simple answer is: Chapter 7 Bankruptcy is designed to “wipe clean” or discharge your unsecured debts. This can be an extremely valuable tool if you have high credit card debt, medical bills or a personal loan that is unsecured. Certain unsecured debts cannot be discharged in a Chapter 7. So Who Can File Chapter 7 Bankruptcy in Florida? A permanent resident of the State of Florida can file for bankruptcy. Florida has three Bankruptcy Districts (Southern District, Middle District, and Northern District) Miami-Dade, Broward, and West Palm Beach County are located in the Southern District of Florida. However, you are required to file Bankruptcy in the District where you reside for the last 180 days. An important concept in both Chapter 7 and Chapter 13 Bankruptcy is “Exemptions” or “Exempt Property.” When you file for Chapter 7 Bankruptcy, your non-exempt property, meaning those that do not fall under any exceptions, must either be paid back to the Estate if you want to keep the property or the Chapter 7 Trustee will “sell it” for the benefit of the your unsecured creditors. The Trustee cannot take your exempt property, and you may keep all your exempt property regardless of its value and amount, with some exemptions. What property is “Exempt” and what property is “Non-Exempt” depends on the exemption laws of the applicable State. Each State has its own exemptions for Bankruptcy purposes. Florida has Liberal Bankruptcy exemptions for some assets, including an unlimited Homestead Exemption (in most cases) and Limited Exemptions for other assets. Only Florida residents are eligible for Florida Exemptions. In order to entitled to Florida Exemptions, you must have been domiciled in Florida for 730 days (2 years) immediately preceding your filing date. Our office offers Free Consultations where you will meet personally with the attorney, to discuss and analyze your particular situation. A Chapter 13 Bankruptcy is essentially a court supervised payment plan. This plan allows you to pay your unsecured creditors what you can afford to pay based upon your family income and your reasonable family expenses and to pay your secured creditors on a payment schedule, if that’s what you intend to do. For example, Chapter 13 Bankruptcy permits debtors to modify or eliminate some secured debts. Also, Chapter 13 permits discharge of some unsecured debts that are not dis-chargeable in a Chapter 7 bankruptcy. On your primary residence, you can eliminate a second mortgage lien and other types of liens, provided that they are wholly unsecured. If you own an investment Real Property that has lost much of its value, you can pay it off in a Chapter 13 plan. Chapter 13 and (Chapter 7) also allows you to do the same with a vehicle, furniture or any other personal property secured with a loan that has lost value. For example, you purchased an investment Real Property for $200,000, but it is worth only $80,000. The Bankruptcy Courts allows you to pay the Market Value ($80,000) over the plan term with interest. This is often called a “Cram Down”. The same holds true for a vehicle or personal property. For example, you owe $13,000 on a vehicle that is now only worth $5,000. In Chapter 13 Plan, you would pay $5,000 for the vehicle with interest. (In a Chapter 7, you would have to pay it in full). Upon successful completion of the plan, the above Real Property and vehicle are owned free and clear. 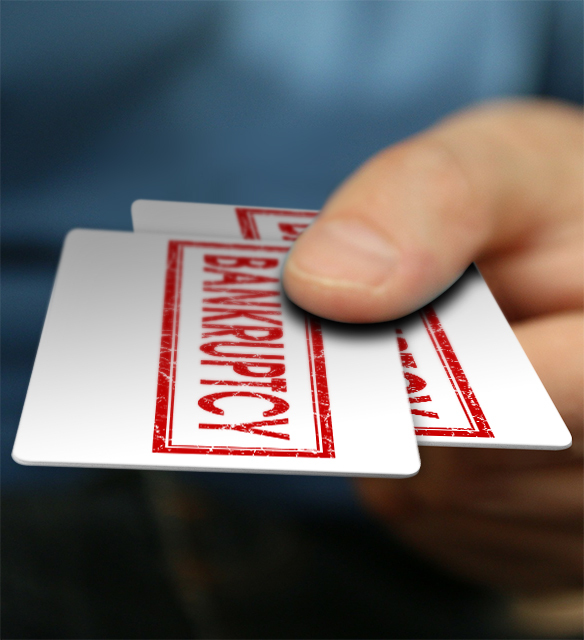 There are a number of advantages to filing a Chapter 13 Bankruptcy. Contact our office for a FREE consultation to determine if a Chapter 13 Bankruptcy is right for you. So Who Can File for Chapter 13 Bankruptcy in Florida? You can file for a Chapter 13 in Florida Bankruptcy Court if you meet the requirements above for filing Chapter 7 Bankruptcy. However, Chapter 13 has debt limits of $383,175 for unsecured debts and $1,149,525 for secured debts. Secured debts is tied to an asset as collateral for that debt. Lenders/Creditors place a lien on the asset, giving them the right to take the asset if you fall behind on your payments. Secured debts include mortgage, car loans, loans from finance companies (usually secured by household items), furniture, computers or electronics. With unsecured Debt, lenders don’t have rights to any collateral for the debt. Unsecured debts include personal loans, medical bills, and credit cards issued by banks (such as Visa, Master Card and American Express, or Discover Card) and other credit cards used to purchase consumable items such as clothing, food, vacations, etc. If you have purchased store goods using a store credit card, such as a card from Rooms to Go, Best Buy, etc. the store a probably has a security interest in certain items purchased, which makes the store secured creditor. A Chapter 7 bankruptcy does not any day limits. The newly implemented Mortgage Modification Mediation has allowed many to modify their mortgages through the Bankruptcy process. The process allows for much more transparency and has a very high success rate. Contact our office to determine if this program would be beneficial for you.